CITES Appendix II. CMS Appendix II. It has been reported from many protected areas across its range. The governments of India, Nepal and Pakistan passed legislation in 2006 banning the manufacture and importation of diclofenac as a veterinary drug, with India passing further legislation in 2008 banning the manufacture, sale, distribution or use of veterinary diclofenac. The use of diclofenac has since declined by 90% across parts of Nepal; however, its complete elimination from the scavenger food chain has yet to be achieved (Gilbert et al. 2007). A letter from the Drug Controller General of India in 2008 warned more than 70 drugs firms not to sell the veterinary form of diclofenac, and to mark human diclofenac containers 'not for veterinary use' (BirdLife International 2008). In October 2010, the government of Bangladesh banned the production of diclofenac for use in cattle, and the distribution and sale of the drug were due to be outlawed during the first half of 2011 (M.M.H. Khan in litt. 2010). While these bans have been introduced and have led to a reduction of diclofenac within ungulate carcasses (the principal food source for vultures in South Asia) levels of diclofenac contamination still remain high and human forms of the drug are still sold for veterinary use (Cuthbert et al. 2011a,b). In response to the misuse of human diclofenac, the Government of India banned the manufacture of all diclofenac products in vial sizes larger than 3 ml (the single dose for humans) in 2015, which is predicted to make the drug too expensive and too complicated to use on large-bodied animals and thereby stop its misuse in livestock (T. Galligan in litt. 2016). Efforts to replace diclofenac with a suitable alternative are on-going and are showing signs of success with evidence for a decrease in diclofenac and an increase in the safe alternative (Cuthbert et al. 2011c ). An alternative drug, meloxicam, which is out of patent and manufactured in Asia has been tested on Gyps vultures with no ill-effects (Swan et al. 2006, Swarup et al. 2007), and exchanges of diclofenac with this drug are taking place (T. Galligan in litt. 2016). SAVE (Saving Asia's Vultures from Extinction) has developed the concept of Vulture Safe Zones; areas (with a minimum of 100 km radius, equating to 30,000 km2) around important vulture breeding colonies, where education and advocacy efforts are focussed on eliminating the use of diclofenac and other vulture-toxic drugs (Galligan 2013, Mukherjee et al. 2014). There are currently 12 provisional Vulture Safe Zones being established in countries including India, Nepal and Bangladesh (Mukherjee et al. 2014). These areas will provide a safe environment into which birds bred in captivity can be released (Bowden et al. 2012). To aid in the reduction of diclofenac and other NSAIDs two separate Vulture Conservation Action Plans have been launched in Nepal (DNPWC 2015, C. Inskipp and H. S. Baral in litt. 2016). Vulture restaurants are used as ecotourism attractions in parts of the species's range to raise awareness and fund supplementary feeding programmes and research - in Cambodia these are run by The Cambodia Vulture Conservation Project and a partnership between national and international conservation NGOs (e.g. Masphal and Vorsak 2007, H. Rainey in litt. 2008). The studying of populations of this species visiting vulture restaurants in Cambodia have shown that between 2004 and 2008 the number of Slender-billed Vultures visiting increased by 50%, and have remained roughly similar since (Clements et al. 2013). 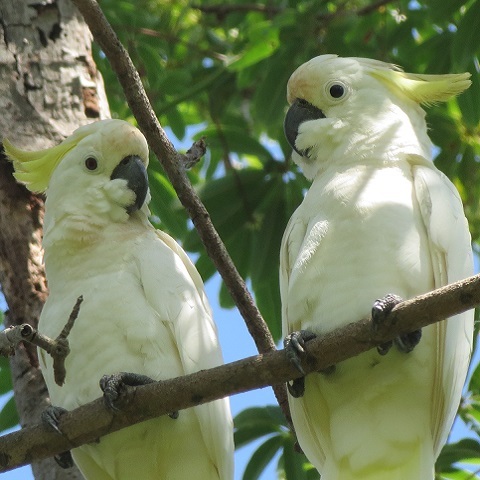 Birds have been satellite tagged in various parts of their range to improve understanding of their movements, foraging range, site fidelity etc., in order to develop suitable conservation strategies for the species (Ellis 2004). Socioeconomic surveys in Nepal have shown that local people are strongly in favour of vulture conservation because of the associated ecological services that they provide (Gautam and Baral 2003). The Report of the International South Asian Vulture Recovery Plan Workshop in 2004 gave a comprehensive list of recommendations including establishing a minimum of three captive breeding centres each capable of holding 25 pairs (Bombay Natural History Society 2004). Captive breeding efforts began in 2006 when 18 Slender-billed Vultures were captured for the captive-breeding facility in Pinjore, India. The centre is part of a captive breeding programme established by the RSPB and Bombay Natural History Society. In April 2008, there were 28 birds at the three Indian breeding centres (Pain et al. 2008), increasing to 35 birds in 2009 (Bowden 2009). Two individuals bred in captivity for the first time in 2009 (Anon 2009). By November 2015, the total number in breeding centres in India was 218, 15 at a centre in Pakistan and 57 at a centre in Nepal (SAVE 2015). The Central Zoo Authority of India has also set up several Vulture Consevration Breeding centres (T. Galligan in litt. 2016). A website has been set up to allow researchers to contribute data on known colonies to identify founder individuals for captive breeding efforts that represent the full geographical spread of the species (M. Gilbert in litt. 2004). Captive breeding centres often receive vultures that have been found poisoned and then rehabilitated by rescue centres such as the Centre for Wildlife Rehabilitation and Conservation, Assam, which is run by the International Fund for Animal Welfare (IFAW) and the Wildlife Trust of India (Wildlife Trust of India 2009). 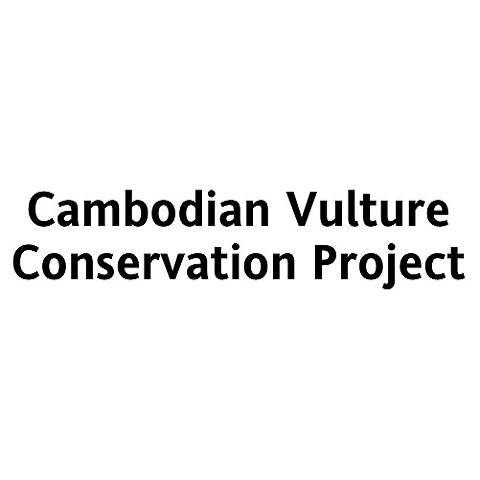 Surveys utilising vulture restaurants were carried out in Myanmar in late 2006 and early 2007, accompanied by searches for nesting colonies, research into vulture deaths and investigation of possible diclofenac use in livestock (Eames 2007a). In 2012 the governments of India, Pakistan, Nepal and Bangladesh adopted a number of priority actions for the conservation of vultures, proposed by SAVE. These include banning large multi-dose vials of human diclofenac, testing other NSAIDs for toxicity to vultures and expanding the Vulture Safe Zones initiative (Galligan 2013). An action plan for vulture conservation in India was written in 2006 (Ministry of Environment & Forests 2006), but has not been updated. Cambodia and Nepal have updated their 10-year (2016-2025) (Sum and Loveridge 2016) and 6-year (2014-2019) action plans (DNPWC 2015). In 2012, the governments of India, Pakistan, Nepal and Bangladesh formed a Regional Steering Committee and adopted a number of priority actions for the conservation of vultures proposed by SAVE in the 2012 Delhi Regional Agreement. These include banning large multi-dose vials of human diclofenac, testing other NSAIDs for toxicity to vultures and expanding the Vulture Safe Zones initiative (Galligan 2013). In 2014, SAVE produced A Blueprint for the recovery of South Asia’s Critically Endangered Gyps vultures that presents key conservation actions for the region and timelines for each action (SAVE 2014). A multi-species action plan for African-Eurasian Vultures is under development and is due to be considered by CMS at COP12 in October 2017. Multiple Conservation Actions were proposed as part of SAVE (2014) and SAVE (2015). Measure the frequency of diclofenac treated carcasses available to vultures. Support the ban on the veterinary use of diclofenac (as well as the removal of human-use diclofenac in vials of >3 ml), and attempt to implement a ban on other vulture-toxic NSAIDs. Regulate the production of veterinary drugs to identify vulture-safe NSAIDs. Support species management or restoration, as needed. Initiate public awareness and public support programmes. Identify the location and number of remaining individuals and identify actions required to prevent extinction. Monitor remaining populations, in particular replicate conservation and research activities in Myanmar that have been implemented in Cambodia. Provide supplementary food sources where necessary for food-limited populations in South-East Asia, and maintain and promote Vulture Safe Zones, including trans-boundary efforts. Within VSZs, promote livestock management training and provide free veterinary camps. Support captive breeding efforts at a number of separate centres, and identify the most appropriate sites for release of captive-bred individuals. Attempt to estimate the potential value, in terms of ecosystem services, provided by wild vultures. Protect nesting areas. Gyps tenuirostris is found in India north of, and including, the Gangetic plain, west to at least Himachal Pradesh and Haryana, south to southern West Bengal (and possibly northern Orissa), east through the plains of Assam, and through southern Nepal, and north and central Bangladesh (BirdLife International 2001). 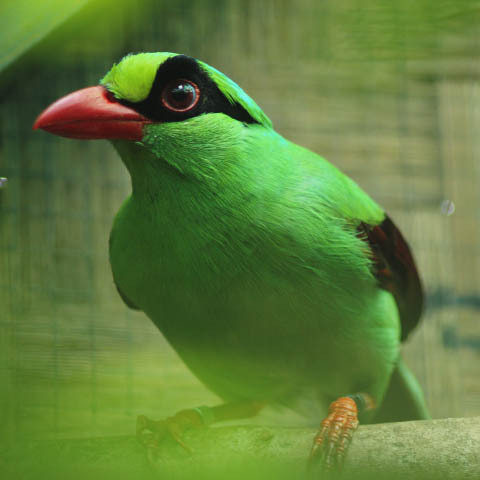 It formerly occurred more widely in South-East Asia, but it is now thought to be extinct in Thailand and Malaysia, and the only recent records are from Cambodia, southern Laos and Myanmar. Considerable confusion over the taxonomy and identification of Gyps vultures has occurred, making it difficult to be sure of claims for this species. However, it appears to be allopatric or parapatric with Indian Vulture G. indicus where their ranges abut (or potentially do so) in northern India. It was once common, but in South-East Asia populations declined through the latter half of the nineteenth century and the first half of the twentieth century, and are now probably very small and restricted in distribution and limited mainly to Cambodia (where the first nests recorded in the country were recently found and surveys in 2008 recorded a total of 51 individuals at vulture 'restaurants' [H. Rainey in litt. 2008], with a minimum of 48 in 2010 [Clements et al. 2013]) and Myanmar (counts made at vulture restaurants suggest a population of c.21 individuals [Hla et al. 2010]). Given the lack of intensive agriculture and associated chemical use in South-East Asia and the continued presence of large areas of suitable habitat for the species, the primary reason behind its decline in the region is thought to be the demise of large ungulate populations and improvements in animal husbandry resulting in a lack of available carcasses for vultures (Anon 2003, 2005). In India and Nepal, the species was common until very recently, but since the mid-1990s it has suffered a catastrophic decline of up to 96.8%, with a combined average decline in India of this species and G. indicus of over 16% annually between 2000 and 2007 (Prakash et al. 2007). 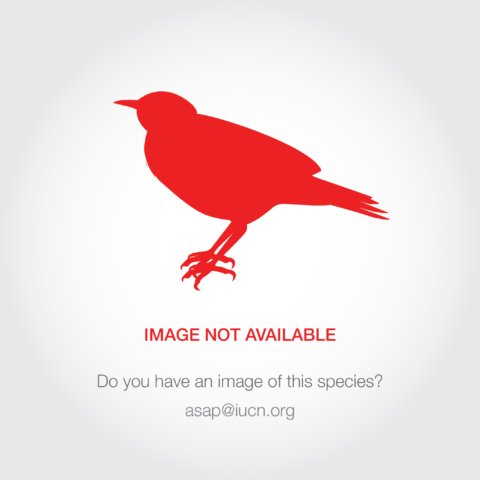 In Nepal the species was formerly fairly common and widespread, but has declined by >90%. It is now extremely rare in the east and local and uncommon in the centre and west (Inskipp et al. 2016). Data indicates that the rate of population decline of G. tenuirostris and G. indicus combined has now slowed in India (Prakash et al. 2012). Extensive research has identified the non-steroidal anti-inflammatory drug (NSAID) diclofenac to be the cause behind this rapid population collapse (Green et al. 2004, Oaks et al. 2004a, Shultz et al. 2004, Swan et al. 2005). This drug, used to treat domestic livestock, is ingested by vultures feeding on their carcasses, leading to renal failure and causing visceral gout (Oaks et al. 2004a,b; Swan et al. 2005, Gilbert et al. 2006). Probably owing to the effects of diclofenac, breeding success in parts of its Indian range is reportedly low; of 14 nests found in Assam just four had chicks (Choudhury et al. 2005). Diclofenac is apparently entirely absent in Cambodia, adding greater importance to that remaining small population. Likewise, surveys conducted in Myanmar in late 2006 and early 2007 found no firm evidence of diclofenac use (Eames 2007a). Census data from Cambodia suggest that the population there may have been stable since 2004 at least (Eames 2007b). Considerable confusion over the taxonomy and identification of Gyps vultures has occurred, making it difficult to be sure of the population size. It is considered likely to number 1,000-2,499 mature individuals, equating to 1,500-3,750 individuals in total. By mid-2000, Gyps vultures were being found dead and dying in Nepal, Pakistan, and throughout India, and major declines and local extirpations were being reported. The anti-inflammatory drug diclofenac, used to treat domestic livestock, has been identified as the cause of mortality. Vultures are exposed to diclofenac (and other Non-Steroidal Anti-Inflammatory Drugs [NSAIDs]) through scavenging on the carcasses of largely cattle and buffalo that had been treated prior to death (often as part of palliative care) and left for scavengers to consume (as is tradition in Hindu cultures). Vultures are unable to process diclofenac and other vulture-toxic NSAIDs that therefore cause renal failure and death (Oaks et al. 2004a, Shultz et al. 2004, Swan et al. 2005, Gilbert et al. 2006). Modelling has shown that to cause the observed rate of decline in Gyps vultures, just one in 760 livestock carcasses need contain diclofenac residues (Green et al. 2004) and sampling carcasses of livestock in India between 2004 and 2005 showed that 10% were contaminated with diclofenac (Taggart et al. 2009). Despite awareness programmes to educate locals about the association between diclofenac and vulture mortality, a survey in Nepal indicated that the vast majority of people still do not link diclofenac use to a decline in vulture populations (Anon 2009), potentially leading to a slower uptake of a vulture safe alternative drug (meloxicam). Also, despite bans and the wide availability of meloxicam, diclofenac is still widely found in carcasses and vultures (Cuthbert et al. 2014, 2015). This is largely because pharmaceutical companies (mostly from India) continued to manufacture large vials of diclofenac for human use, which are distributed, sold and used for veterinary purposes (Cuthbert et al. 2011, T. Galligan in litt. 2016). Other veterinary drugs (ketoprofen, flunixin, nimesulide, aceclofenac and fenbendazole) have also recently been identified to be potentially lethal to vulture species (Naidoo et al. 2009, Zorrilla et al. 2015, Cuthbert et al. 2015, Galligan et al. 2016, Sharma 2016). Other likely potential contributory factors to declines in this species are changes in human consumption and processing of dead livestock, reduced food availability, avian malaria, destruction of nesting trees, direct persecution, poisoning of carcasses and pesticide use (see Poharkar et al. 2009, Inskipp et al. 2016) but these are probably of minor significance. In South-East Asia, the near-total disappearance of the species pre-dated the present crisis, and probably results from the collapse of large wild mammal populations and improved management of deceased livestock leading to scarcity of available food (Clements et al. 2013), but persecution and poisoning is also thought to be a problem. In Cambodia vultures are still threatened by extremely low population densities of wild ungulates, a decline in the number of free-ranging domestic ungulates, felling of nesting trees for timber and accidental poisoning at carcasses laced with pesticides to kill stray dogs (S. Mahood in litt. 2012).